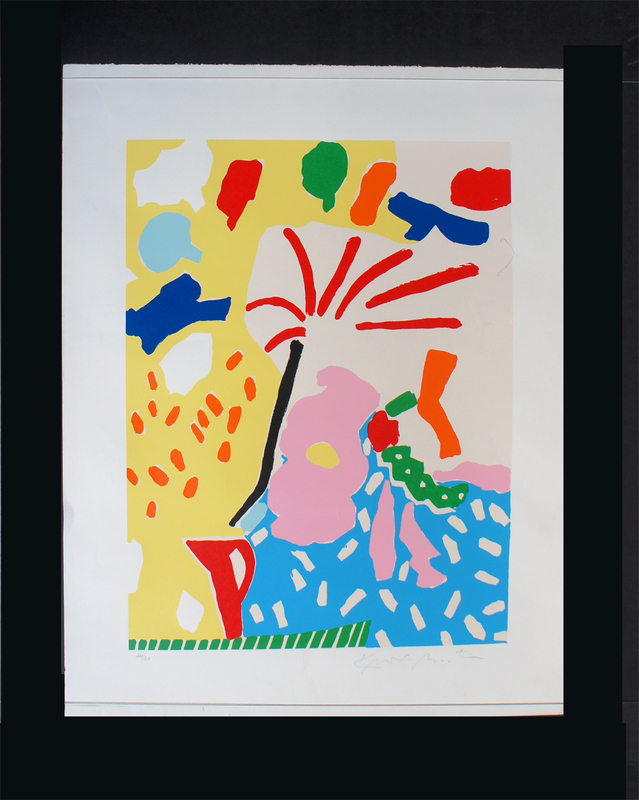 silkscreen in colors on paper, 1980, signed in pencil lower right, numbered 260/300, As published by SOA Art Consultants, Inc. 1980, with their copyright stamp verso. Condition:In generally fine condition, with fresh colors, full margins, never framed. With minor defects including dog eared bottom right, glue marks on edges of sheet on left side, crimps on left margin, pen mark upper right on image, small scratch upper right in red shape. Sheet: 35 7/8 x 31 7/8 in. Plate: 27 3/4 x 24 in.